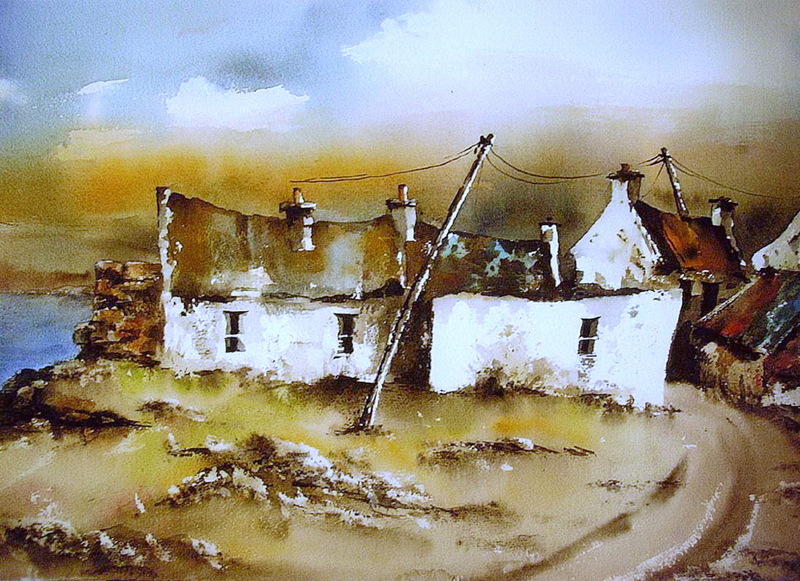 This was painted by Val Byrne at Panoptic Art workshop in Bray, Co. Wicklow in 2004. Demonstrations occurred on the hour every hour by about 6 artists displaying their various differnt techniques. These included Oil painting, Watercolours, Acrylics, painting on Glass, Fabric art,and Sculpture. This video shows the above demo which lasts about 7 minutes. The entire finished paintingas above took an hour and a quarter.